Married women with children reported the largest increase in well-being. WHEN THE UK followed Ireland’s lead and banned smoking in bars and restaurants, it was touted as a physical health measure. After all, according to the World Health Organisation, smoking is directly linked to 6 million deaths every year worldwide leading to diseases like cancer, chest infections, strokes and heart attacks. But when the practice was forbidden in public spaces in 2006 in Scotland and in 2007 in England, people saw a bump in all kinds of well being. A study led by Dr Eugenio Zucchelli of Lancaster University looked at people’s own assessments of their psychological well-being both before and after the introduction of the bans in Scotland and England using a quasi-experimental design. 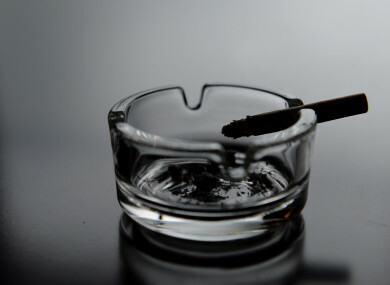 The researchers analysed data from the British Household Panel Survey to estimate the impact of the bans on the self-reported wellbeing of smokers, occasional smokers and non smokers, whether single or in a couple. “Individuals with altruistic preferences towards their children would benefit more from the introduction of public smoking bans than non-altruistic parents, mainly for the expected reduction of their children’s exposure to second hand smoke, at least in public places. Email “Smoking bans make married people happier than anyone else”. Feedback on “Smoking bans make married people happier than anyone else”.